My life's been turned upside down. I've known for about 7 months that in May 2013, I'd be running the Windermere Marathon course 10 times in 10 days, to raise money for Brathay Trust. I've obviously known that it's going to be hard, and I've started trying to raise sponsorship, and I've been training more than I've ever trained before. However, I don't really think that, even after all those months, what I was going to be doing had really sunk in. For all the time I've been telling people about it, I knew it sounded impressive or crazy, but I was a bit blase and although I liked talking about what I was working towards, explaining that it was for charity, and I have been genuinely very excited about the prospect of it, I didn't really feel that I was very emotionally invested. I'd paid my £800 entry fee, and the 10in10 was just something that was going to happen to me in May, with a minimum sponsorship target to achieve in order to take part - that was that. But now that's all changed. This last weekend, was our 10in10 training weekend. I stayed at Brathay (which is an absolutely beautiful place), met for the first time all of my fellow 10in10 runners as well as the support team who will be getting us through it, and attended various seminars about the detail of the event, going through how it's all going to work, as well as spending time understanding what the charity actually does and learning about it all in a bit more depth. We also had to give a video interview which was the thing I'd been really worrying about before I arrived - although it wasn't as bad as I'd expected, it was still awful, and I know I rambled on like an idiot. I'm mortified that it's available on line for people to actually see...but it's all part of the event, so once there's a link I will post it...although I doubt I'll be able to bear watching it myself! 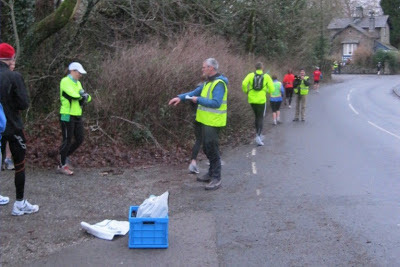 On the Saturday, we also had the chance to run the Windermere Marathon course, and although most other people (if not all) have run it before, I haven't...Saturday was my first time. It's fair to say that I was a little bit overwhelmed with everything we went though, but it was a great weekend. The Windermere Marathon course is incredibly challenging. 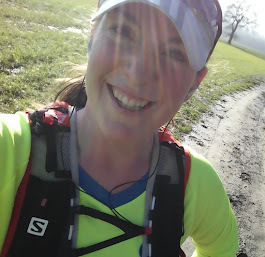 It's ridiculously hilly for one thing...much hillier than I had ever expected and I found running it on Saturday very hard - I very rarely run hills and I felt woefully unprepared for the course, walking much more than I would ever want to during a marathon. It's also, partly, on main roads some of which are narrow and we'll be sharing them with fast cars and lorries. During the first 9 days of the 10in10, the roads aren't closed at all, and without doubt, we're going to be vulnerable. At the moment, the prospect of running that course 10 days in a row is absolutely insane and it's fair to say I'm scared...of the pain, of injury, of my body or my mind breaking down, even of being hit by a car. That's the bad bit. The really good bit though starts with the people - I think this is what's changed how I feel about the whole event. 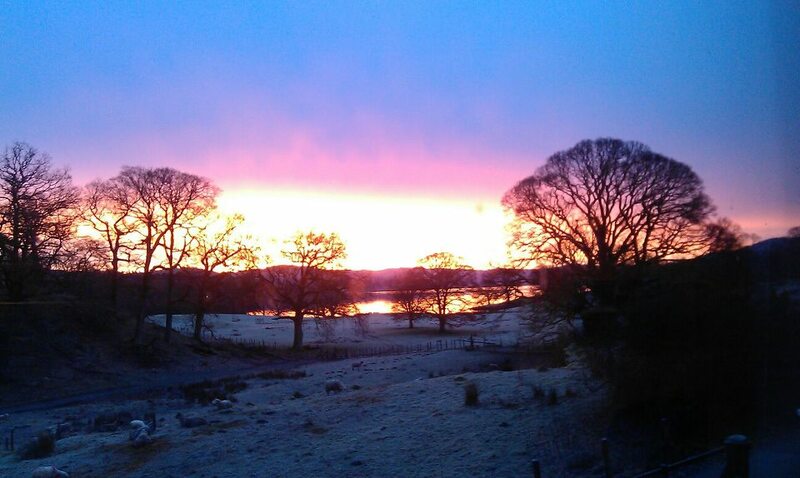 Being at Brathay was a revelation. The team there are the most sincere, lovely people you could ever hope to meet and they are so passionate about the 10in10 and even more so about the work that Brathay does, it can't fail to inspire you. Meeting the other 15 runners who will be joining me in May was awesome too - there were a few familiar faces, although some people were new to me (other what I'd read about them on their profiles) from the minute I arrived, I felt comfortable chatting with everyone and I'm really looking forward to getting to know them better as they seem like a really nice, like-minded group, and I know that completing this together is going to create some life-long friendships. I can see from people who have done the 10in10 before that it really is special from that point of view, and we are all going to be integral to helping each other to cross that finish line on the 10th day! So, I think the biggest change about how I feel, is that now I really understand that this is a team event rather than something that is just happening to me. The support team at Brathay are giving so much of themselves to make this happen and to help us through it, and the sponsors who we also met are giving their time as well as their resources and money, and the other 10in10ers are giving their everything. I now feel a responsibility to each and every one of them to be the best I can be over the next four months, to train as hard as possible & to be as prepared as I can, to make sure I have as much chance as is humanly possible to complete the 10in10 successfully! I also feel a responsibility to the charity itself. I can really appreciate now what Brathay can do with the money we raise, and what a difference it will make to the young people they support, and I also understand how important it is that I raise as much money as possible to ensure that the 10in10 remains cost effective as a way of raising such valuable funds for Brathay Trust. I just feel so totally emotionally invested in the event now. I can barely think about anything else (although I still have lots to do to finish organising our wedding in April, and will obviously keep a section of my mind free for that!). Since coming back from the weekend, when I've been talking about the 10in10, and about Brathay, to friends and to colleagues at work, I feel so hugely enthusiastic about it and can hear the difference in my voice...someone even said to me after we'd talked about it for a while yesterday that I'd inspired him to go for a run that night! I went out for a training run last night too. I took a route that has a pretty keen hill in it. Usually I'd always stop at the top of a hill to get my breath back and recover, but last night I just kept going until I got home - I had thoughts of Brathay running through my head, and it certainly motivated me to train that bit harder. I think those thoughts are going to govern everything I do during the next four months. If you'd like to sponsor me to run 10 marathons in 10 days, you can do so via this link www.justgiving.com/naomi-runs-10in10 Every pound is very much appreciated! I've had very similar thoughts since as well. I'm finding it hard to think about ANYthing else, and I'm in a similar wedding boat as yourself. Role on May, you just need to have a breather in April. Cheers John :) Role on May indeed!! Great blog Naomi, can you post it on the Brathay site too because that is where most of us are looking in order to watch everyone's progress ? ?